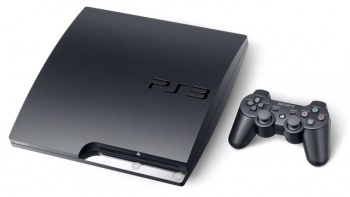 The sale of the new PS3 modchip has been temporarily blocked in Australia, and Sony is hoping to make it more permanent. Whether it's playing backups of your games, running homebrew applications, or even engaging in digital piracy, there's a lot you can do with a modded PS3. Sony isn't particularly keen on letting you do any of that though, and SCE Australia has been granted a temporary injuction to prevent the sale of the new USB modchip while it pleads its case to the Australian Federal Court. The injunction lasts until the end of the month and, as well as preventing the sale of the device, also stops any further imports. On top of that, any stock of the modchip must be surrendered to Sony's lawyers until the August 31st deadline has passed. Unless, that is, Sony is able to convince the court to permanently ban the sale of the chip, in which case there's not a lot of point in the distributors having the stock back, as it will be illegal for them to try and sell it. This won't be the first time that a platform holder has gone to the Australian courts over such a device. Earlier this year, a site selling the R4 cartridge for the DS was ordered to pay Nintendo damages of more than half a million Australian dollars. We won't know until next week whether or not Sony has had similar success, so keep watching this space for updates.